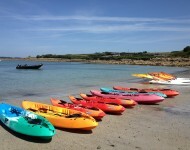 Clear un-crowded waters, a sprinkling of islands with white sand beaches and sheltered bays make the Isles of Scilly perfect for watersports. 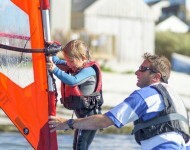 We are an RYA, BSUPA & AALA licensed centre offering high quality, safe tuition and activities for all levels. From taster sessions to full certificated courses we have something to offer whatever your age or ability. With our main base on St. Mary’s and a site on Tresco we offer instruction, equipment hire and sales throughout the islands. 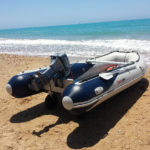 Day boats, dinghies, motor boats SUPs, kayaks, windsurf kit &wetsuits to take to the waters and explore yourself. 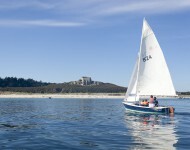 Guided sit-on kayak trips, Children's Sail Camps & Fun sessions, Sailing excursions, School groups. 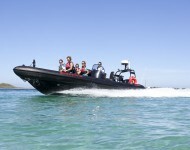 Dolphin, Porpoise, Seals & wildlife watching, Inter-island water taxi, thrill rides, special charters.